Disc: Black label, dog near top. 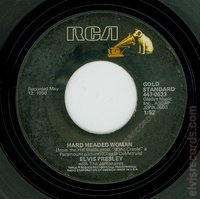 A complete oddity when compared to other Gold Standards. 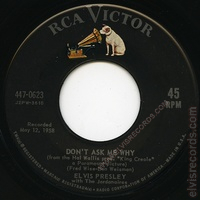 Different font, 45 PRM on side, no Gold Standard statement, matrix numbers on left side, and no copyright on bottom. 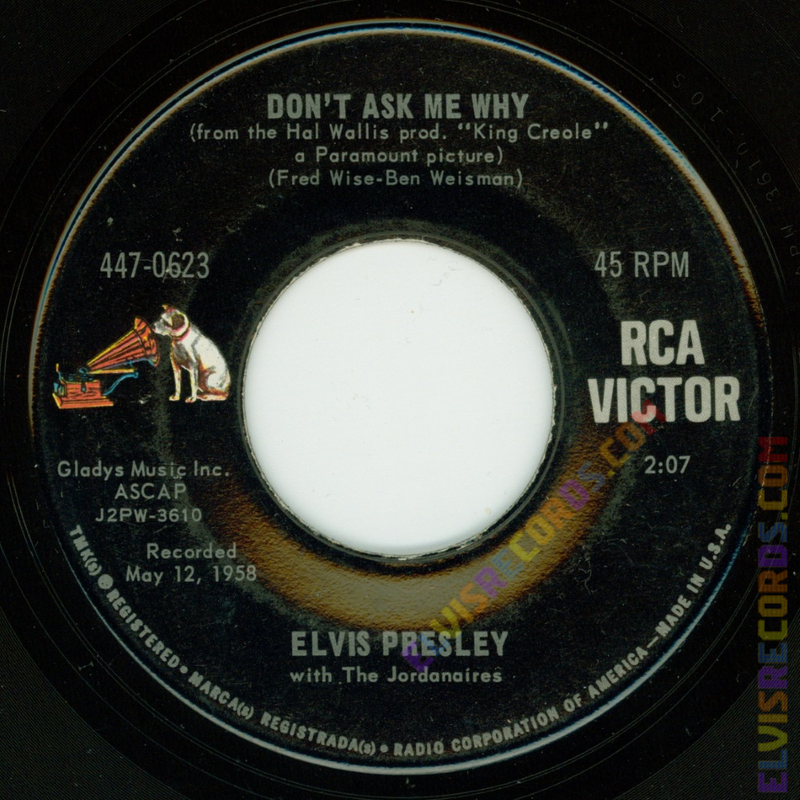 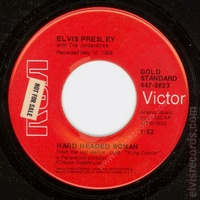 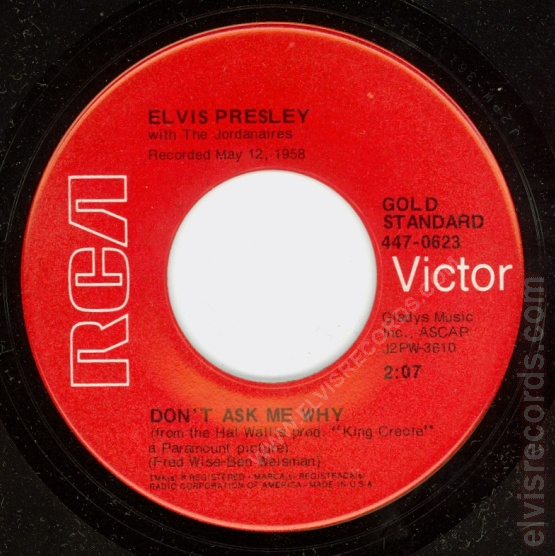 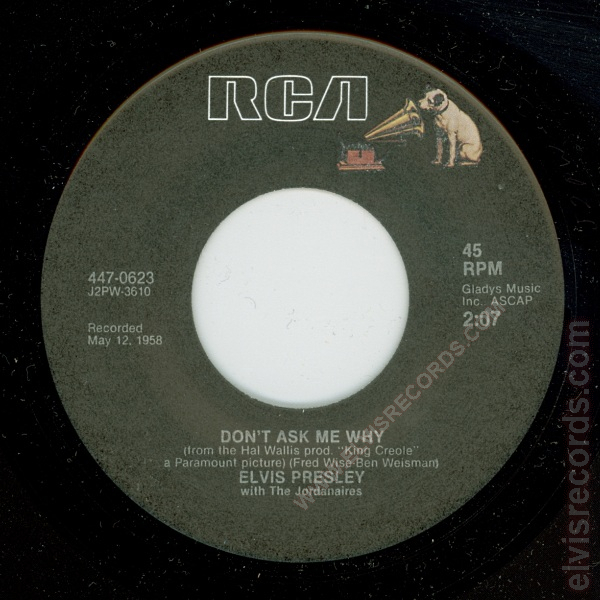 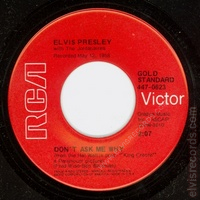 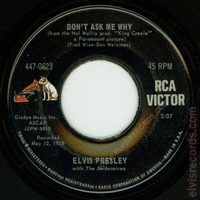 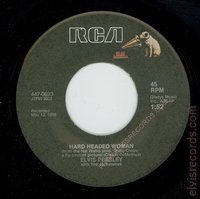 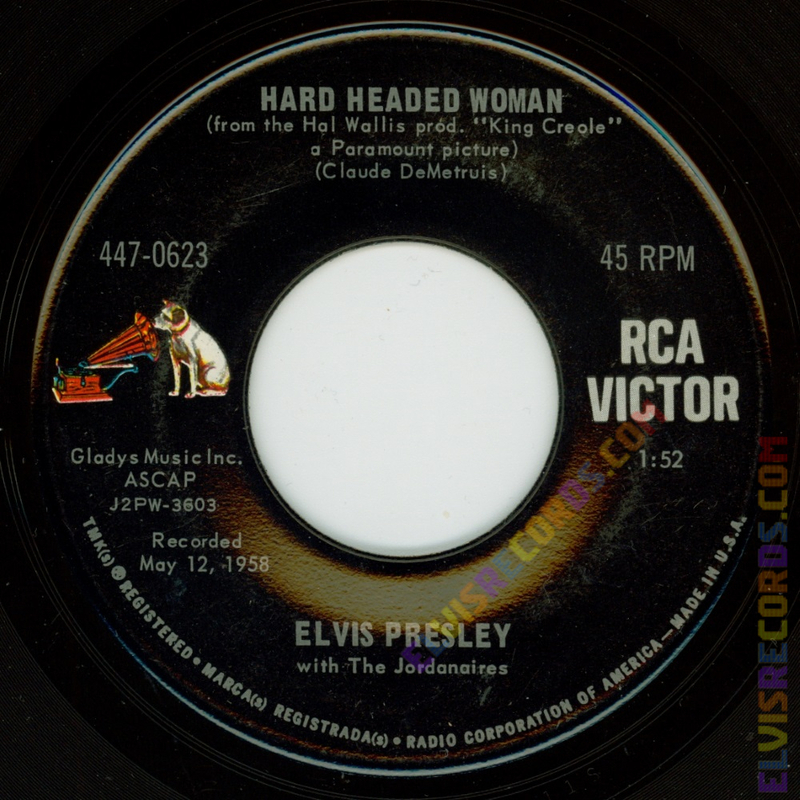 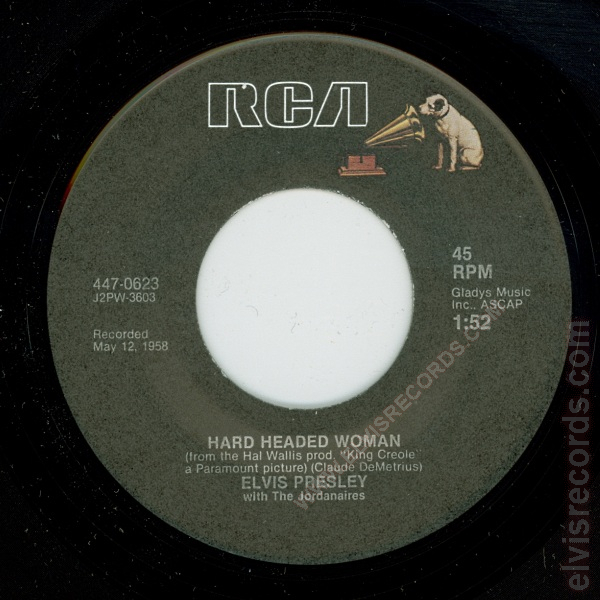 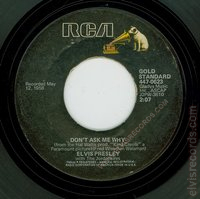 Originally released by RCA Records on as Hard Headed Woman / Don't Ask Me Why.